If you would like to add or remove your companies details from our directory please click here to contact us. 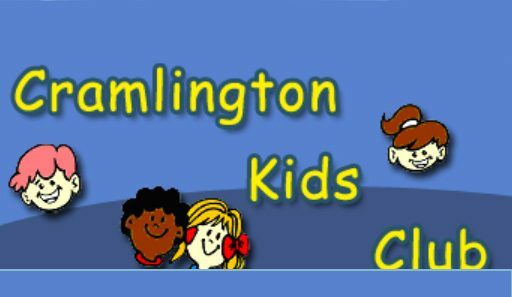 Cramlington Kids Club is an integrated childcare unit offering low cost, high quality, flexible childcare. ‘We exist to provide the necessary facilities for the daily care, recreation and education of children during out of school hours and holidays whilst advancing education and training to the youngsters in our provision through stimulating educational and recreational activities’. Toddler Group has 5 sessions per week. It is a very popular and well-known group for babies and toddlers. It is a safe environment for children to play, with a fantastic selection of toys, structured crafts and always finishes with a singsong. The room is carpeted so nice for younger children. Nothing is too much trouble for the dedicated team who run the group. Venue is lovely and clean with good changing facilities. Parents and carers get a chance to talk and have refreshments while still being able to supervise their children. If you would like more information regarding the Toddler group please contact us. £3 per child. Babies and toddlers of all ages. ‘Just turn up to play and we will give you an application form. Prices are £2 for children over 1 year, £1.50 under 1 year and 50p for siblings. For this we provide a craft every session which can be painting to edible art. We have a juice and fruit time, all freshly prepared. At the end of the session we have a sing along which is really popular. Tea and coffee for the parent/carer is also included in this price. We celebrate birthdays and are planning trips through out the year along with our fantastic Christmas parties.